Gamechops has long since established itself as the go-to label for awesome video game remixes. Dj Cutman’s crew has just released the extensive and polished Spindash 2. With tracks spanning the entire Sonic the Hedgehog franchise, you really get your moneys worth with this collection. Stand out tracks, in my personal opinion is Blind’s remix of Starlight (my all time favorite Sonic song) and Chjolo’s Totally Rad from Sonic Adventure 2. There is not a bad track on the album and I particularly like how they were able to breathe life into songs that have been remixed many times – especially those from the original Sonic the Hedgehog. Grab this album today. I’m honored to announce that a new NES 8-bit sound theme I authored has been added to Habitica. If you aren’t aware of Habitica, it is absolutely one of the greatest apps I’ve ever used. As I’ve written about before, I feel like video games (especially RPGs) have taught me a lot and helped me to become a productive grownup. Habitica takes your every day task list and turns it into quests in a 8-bit RPG. The beauty of Habitica is there isn’t really anything to do except what you have to do in your day to day life. For example, you might set up a task “Write weekly article on blog” – clearly not one of my actual tasks, but it should be. When you complete it, you check it off and gain some experience and gold. When you and your friends start a “quest” you fight a monster or boss each night. Depending on how many of your tasks you did or didn’t do, you will damage the boss and/or he will damage you. You can also add bad habits in, like “Eat Donuts”, if you eat a donut, you click it and you will lose some HP that day. You do it yourself, so its basically honor system, but it wouldn’t be much fun if you cheated anyways. A sample character in Habitica. Theres an endless array of pets, mounts, armor, weaponry, hats, capes, etc. You never run out of things to do. It has really helped me to be more motivated. I just can’t stand knowing I’m going to miss out on a bunch of experience and gold if I decide not to floss. You can make a questing party with your friends to add further elements to it, and it really does help you all stay motivated, because, if your buddies start to slack off, the boss damages the whole party. There are a bunch of great sound themes already on the site, but, I just had to add one that feels like the original Legend of Zelda and Final Fantasy on the NES. The graphics just go so perfect with that kind of thing. Try it out today, they have an iOS app but the web version is really best (thats where you can hear my theme as well). Its totally free but you can pay to unlock special things or progress quicker. Look me up (Beatscribe is my moniker of course) in the Retro Gaming guild too. It’s been a very long time since I posted anything. Just been busy on various projects that are still under wraps for the moment. In the meantime I’ve been curating this list of music that helps me focus. 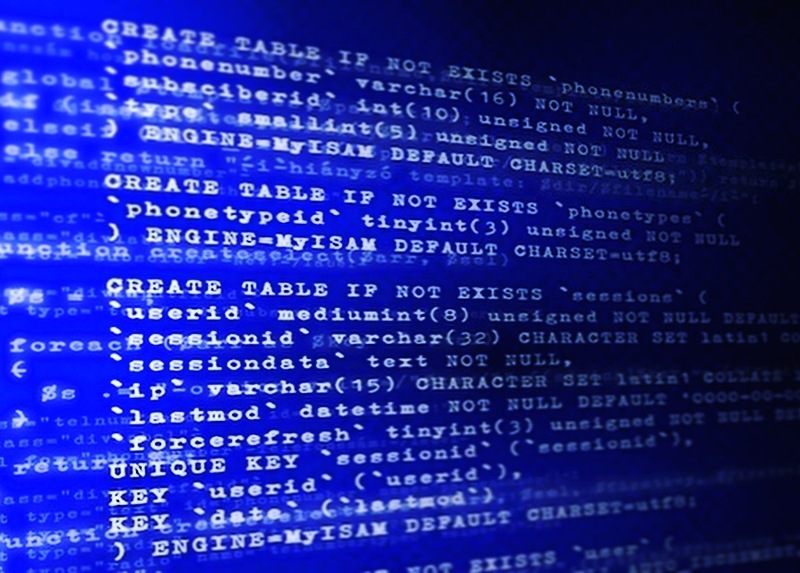 Some people can write code and perform highly focused tasks while listening to rock, techno, EDM, or other very in-your-face, high-energy music. This just does not work for me. But I can’t listen to really soft music either or I get sleepy. This playlist represents years of collecting music that I have found help me to program. It’s not from any specific era or genre. You’ll find some 70s prog rock, 80s Shoegaze, ambient stuff from the classical composers to modern chippy things like Disasterpeace and infinity shred, b-side sound experiments from mainstream bands and lots of post rock too. It’s all very unobtrusive but it also has a pulse and gives you some energetic focusing superpowers. Hope you enjoy it! More updates soon! Celebrating the 30 year anniversary of the Legend of Zelda, two programmers have created a WebGL 3D recreation of the Legend of Zelda. This is not a quick, cheap redo in 3D, it is incredibly faithful to the original and very polished graphically. The fact that its all been done in Java script and you can play it right in your browser is also pretty awesome. Literally, just go to this page and you can play it. The controls are responsive and it really feels like the original. Enjoy. Matt Creamer aka Norrin Radd has is without a doubt one of the masters of NES composition. With amazing NES albums like Melodia de Infinita and Anomaly and his unique style and mastery of the 2A03, he is the perfect choice for a iOS game soundtrack that tries to pay homage to the classic Megaman series. Venture Kid feels like an NES game from the opening cinematic scenes. Every tone and sound is authentic and the game itself mostly sticks to the limitations of the NES, with the exception of some multi-paralax scrolling backgrounds and modern “achievement” style awards. Matt says this is his last NES album using ModPlug, which he uses for its ability to slightly detune the pulses, a trick that adds some cool shine to the standard NES tones. Like much of his work, there is a bit of a middle-eastern scale vibe and its mostly apparent in the pyramid level. Perhaps the games only shortcoming is you don’t get to select a stage. It feels like Megaman in every other way but that. The stages are filled with secrets and places to use weapons, but you have to go at them in order. All things considered though, its as close to an NES experience you can get on your iPhone and I highly recommend it. An awesome web-based took that Chris from Asmadi Games recently brought to my attention is Infinity Jukebox It finds all the identical audio moments in a song and maps them to other identical moments. 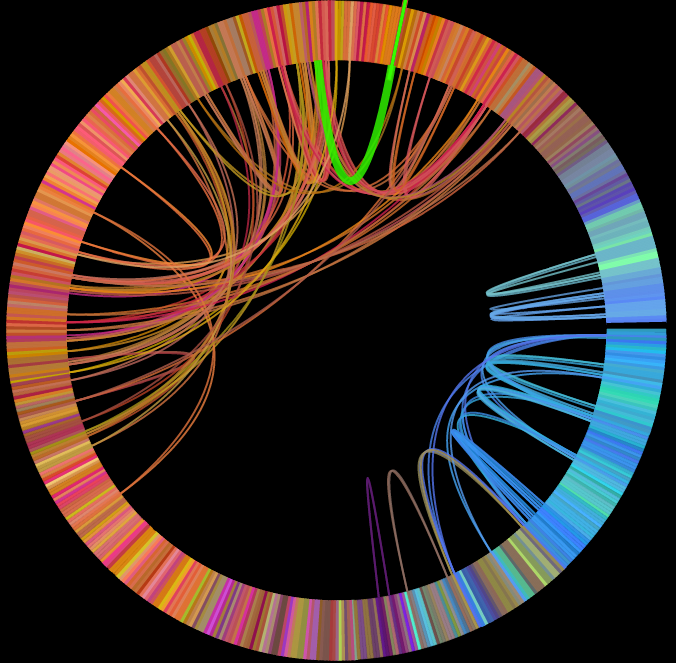 The circular representation of your song is a whole new way of looking at music too. Its like suddenly having another dimension of music available. As the song plays, it randomly takes these branches to link together other sections of the song that normally wouldn’t connect. What you get is a endless loop of version of your favorite songs. Some songs work better than others. Daft Punk songs tend to warp seamlessly. Other songs are pretty random and remix-y. This is a great tool to help you come up with new melodies. Load up a melody you’ve created that regularly returns to the same note and you’ll see how it can be rearranged. This track from RobKTA is a great example of how it can give you cool ideas on how to re-arrange the melodies and composition of a song. 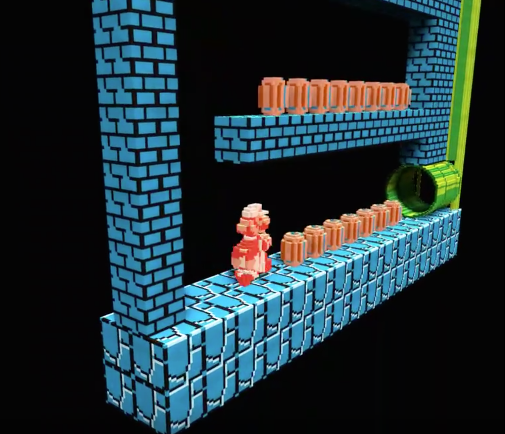 If, like me, you always wondered what your favorite classic Nintendo games would’ve looked like in 3D, now you can get an idea with the 3DNES emulator. 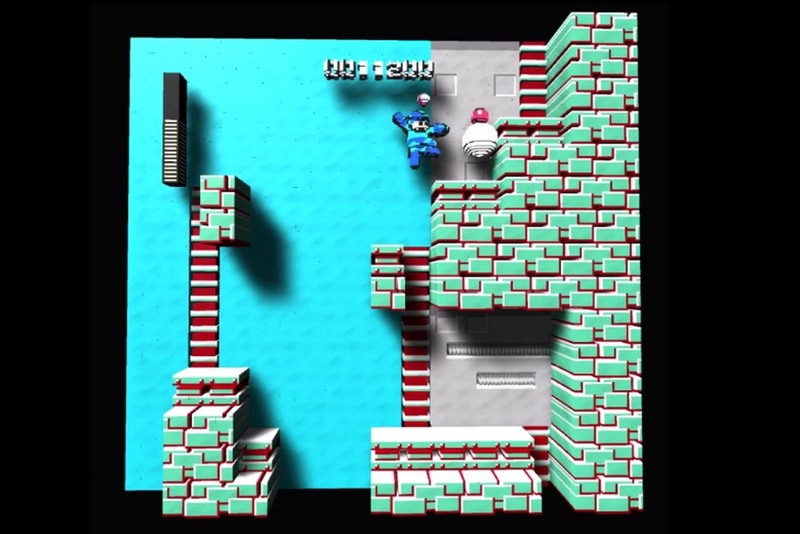 This emulator takes the 2D Art of your favorite games and extrapolates some data about what is walls an what is not, and creates a pseudo-3D version of your classic game. It’s obviously still in its beta phase, as it occasionally glitches out or flickers, but at its best moments it turns a classic into a papercraftesque version of Megaman or Metroid. Then simpler games seem to hold together better. Metroid and Megaman 1 look great. Zelda 2 and Super Mario Bros 3 and other complex games tend to turn into more trippy experience. Nick Maynard is the guy behind the awesome post rock of Revengineers, one of the best post-rock/chiptune groups in my humble opinion. He also has some solo stuff, an LSDJ manual that is quite popular and has helped out with the also-amazing Noisewaves. Little Paw is his new release which visits some familiar emotional territory of the Reengineers, earnest guitar and soaring leads evoke all kinds of feelings. However, the palette is expanded and more danceable this time. While the guitar playing in Revengineers is mostly rhythmic and textural, this project puts it a bit more center stage with some great solos and awesome riffs. One of the most interesting pieces is Flying Slowly, which is a slower song, reminiscent of M38, with an epic bluesy 80s guitar solo at the end. You will also get some awesome extras, including an unreleased Revengineers track and some wonderful other projects that Nick has in the works. Grab this awesome album today! I am a huge fan of The Office (US). It’s one of the funniest shows that is mellow and somewhat realistic and at the same time totally outrageous. When I saw that someone had put together an amazing Office Lego set, I just had to pledge my support. You don’t have to buy anything, just make an account on Lego’s site and fill out the small survey about expectations for this set. They have a few months to reach their goal still but they’re a long way off. There’s a ton of attention to detail that really makes it awesome, such as Dwight’s Bobble Head encased in Jello, Date Mike’s hat, the hole andy punched in the wall. It’s pretty awesome, and I hope it will get made. Take a few minutes to support it, tweet it and spread the word to Office fans today! As you know, I love classic Lucasarts SCUMM/Point and Click Adventure games! Lately, they’re making a comeback, so I don’t need to emulate the classics as much. This is one I’m particularly into. SeaMonster media’s Dexter Stardust takes retro camp sci-fi movie style and merges it with this excellent adventure gaming style. The sense of humor is also hilarious. At no point do you get sick of sitting through dialogue. The voice acting is spot on and hilarious. It’s kind of like The Dig but (20 year old spoiler alert!) no one dies. The game is free to play and just a demo at this time, but you’ll find enough cinematic quality and storyline to rope you into looking for more.